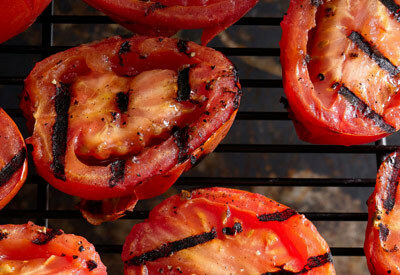 Place tomato halves, skin side down, on grill. Sprinkle with oil, salt and pepper. Grill over medium heat until lightly charred on the outside, but still firm, about 3 minutes per side.